Welcome to my website! What can I do for you? I am here to help you with your Tucson real estate needs as well as Oro Valley, Marana, Catalina, Sahuarita, and Vail, AZ. I offer my clients personalized service second to none! I would like the opportunity to show you how I can be your number one Tucson, Arizona, REALTOR®. Search all Tucson MLS listings. Please use the search provided on the search tab to search all property for sale in the Tucson MLS. I also offer you a chance to have a personalized, custom Tucson MLS search tailored to fit your needs. Ask me about my VIP House Hunter™ service. Other REALTORS® can sell you homes in Tucson, Oro Valley, Marana, Catalina, Sahuarita and Vail, Arizona. I help you understand how the process works so you can make educated and informed real estate decisions from start to finish. The end result will be a home you will enjoy for years to come! Let me show you my "How To Buy A Home In Tucson, Arizona" presentation! Other REALTORS® can list your property in the Tucson MLS. I help you understand the current market and how it affects the pricing of your home. I syndicate your property listing to multiple internet sites as well as make it a featured home on my own website. I can help you stage the property to show off its best attributes and help you receive the best possible sales price! And, yes, I have a "How To Sell Your Home In Tucson, Arizona" presentation, too! Other REALTORS® say they are the "Number One REALTOR®" in the Tucson real estate market. How many number ones can there be? I like to say I am the number one Tucson REALTOR® for my clients! They know I want them to be happy with their real estate experience. With over 300 days of sunshine and mild winter temperatures, Tucson can offer unlimited opportunities for outdoor activities including golf, tennis, hiking, and cycling. Tucson, Oro Valley, Marana, and Catalina all offer active adult retirement communities. If you are not an outdoors person, these active adult communities offer many social activities for you, too! Card clubs, arts & crafts, and dining out clubs are just a few of the activities offered. 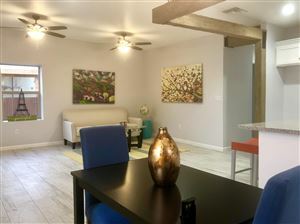 Enjoy an active retirement in Tucson, AZ! Tucson offers great schools, active school organizations, and involved teachers. Many family-friendly communities can be found in Tucson, Oro Valley, Marana, Catalina, Sahuarita, and Vail. Many of Tucson's high school graduates go on to complete their education at the University of Arizona, our own hometown college! Please contact me with any questions about Tucson, Oro Valley, Marana, Catalina, Sahuarita, or Vail. I'm glad to help! It's A Great Time to Buy or Sell in Tucson, AZ! Interest rates remain low offering great opportunities for buyers to purchase their dream home. Sellers can profit from today's market as more and more buyers enter the market. Stay up to date on the Tucson real estate market. The Tucson Association of REALTORS® publishes the Tucson MLS statistics every month. These reports include Oro Valley real estate sales, Marana real estate sales, Catalina real estate sales, Sahuarita real estate sales, and Vail real estate sales. The Buyer Advisory is produced by the Arizona Association of REALTORS®. 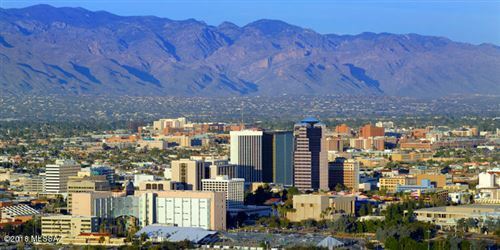 It contains a wealth of information on purchasing Tucson real estate. It is an ever-evolving document with up-to-date information on the real estate buying process in Arizona. The Short Sale Seller Advisory was drafted by the Arizona Association of REALTORS® to provide information to homeowners about the issues and risks involved in a short sale situation. The Short Sale Seller Advisory explains why certain issues may be important and directs the homeowner, via hyperlink, to additional resources. The Short Sale Seller Advisory is divided into three general sections: (1) Before Proceeding with a Short Sale; (2) Options other than Short Sale; and (3) Short Sale Considerations. If you are thinking of offering your house for sale and anticipate a possible short sale situation, you should read this document. "Jo Ann was great to work with when buying my first home in Jan/Feb 2009. She was extremely knowledgeable about the Tucson area and helped me with any questions or issues that came up along the way. I am friends with Jo Ann and she is always willing to answer any questions I have about Tucson real estate. I would use Jo Ann again for any real estate business in the Tucson area."